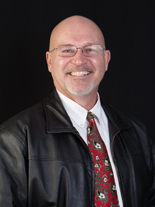 Are There Any Sequim Homes For Sale with Owner Financing? Are there any Sequim homes for sale with owner financing? This question has surfaced again after being absent for many years. In the 1970’s and the 1980’s many sellers offered owner contracts as a great way to have a retirement income at an interest rate above what they could get in secure bonds or annuities. Interest rates skyrocketed at banks during these years to as high as 18%, so owner financing was a viable alternative for many buyers, too. Since so many homeowners have been unable to sell their homes quickly for cash, this is also a reasonable question for sellers. Are there any Sequim homes for sale with owner financing? Owner financing essentially disappeared for almost two decades, primarily because interest rates came down so low even sellers couldn’t compete with such low interest rates, but also because buyers could get loans so easy. It made no practical sense for either buyers or sellers to go with owner financing. Today, there are a small number of homes available in the Sequim area with the option to get the sellers to financing the buyers. But this isn’t a panacea for most buyers who can’t get a loan. In other words, sellers are not just going to let any buyer walk in with no money and no credit. That may be obvious, but it requires some explanation. A seller takes a risk when he sells a home and carries the contract. If a buyer defaults on the payments and destroys the home, the seller will have a nightmare on his hands. Sellers are not so naive as to go down that path. What sellers will normally do after a consultation with an experience professional is ask for a large down payment (some are asking for $100,000 or half of the purchase price), plus they will want to pull a credit report to be sure the buyer doesn’t have bad credit, and they will want proof that the person has a good steady income. In addition, a seller may ask for references. It would be foolish for a seller not to do these things. But all that brings us back to a buyer who is asking if there are any Sequim homes for sale with owner financing. A buyer will normally only ask if a seller will carry the paper if the buyer has bad credit with insufficient income, or has no job, or does not have a huge down payment. Therein lies the dilemma. If buyers had the money and decent credit and a good paying job or a good retirement income, they probably could get a loan. 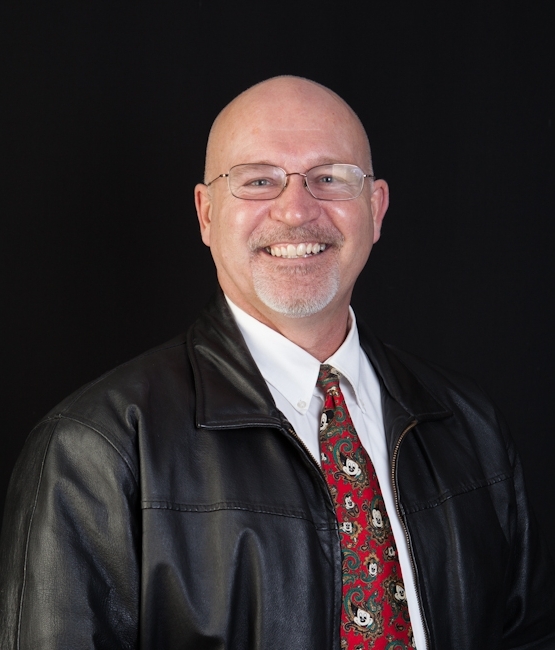 If you are a Sequim homeowner who wants to learn more about your options on selling with a deed of trust and promissory note or a real estate contract, and how those work, give me a call at 360-775-5424. I was a real estate attorney, so I know how this works. There are some Sequim homes for sale with owner financing. If you would like to view them, contact me and I’d be delighted to help you. 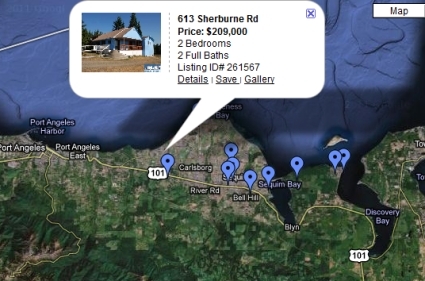 Here they are: Sequim Homes for Sale with Owner Financing. 3 Responses for "Are There Any Sequim Homes For Sale with Owner Financing?" Editor: Thanks Elizabeth. I see why it isn’t on our list. Our list includes site built homes, not mobile homes in mobile home parks. But thanks for including your link. Excellent article on this financing issue. 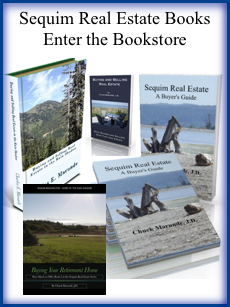 Love Sequim and we appreciate your real estate blog, too. Excellent article on this financing issue Love Sequim and we appreciate your real estate blog, too.